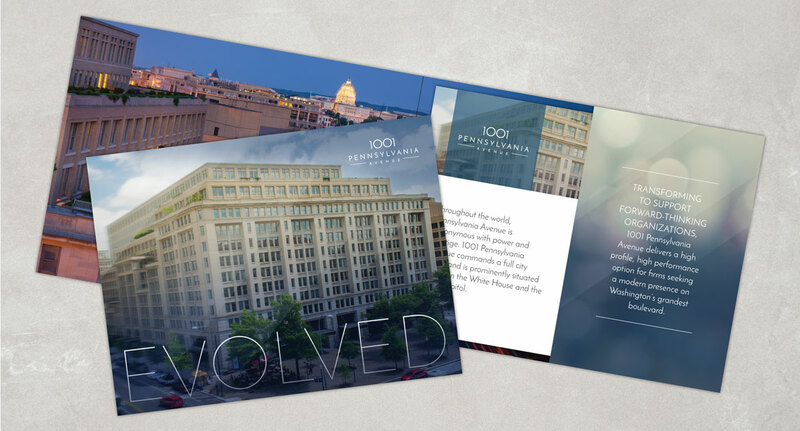 Only five blocks from the US Capitol, 1001 Pennsylvania Avenue is an office building with presence and cachet. 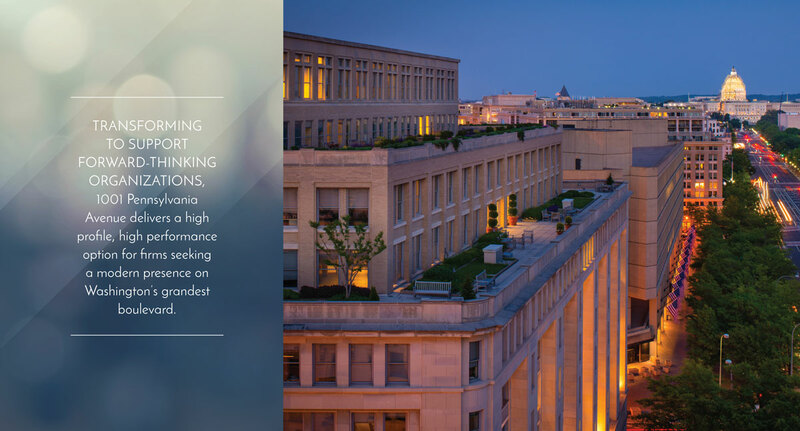 Prestigious tenants enjoy majestic views and the unique honor of a front row seat to the inauguration parade. However, when ownership came to us in 2016, the asset was in need of an upgrade. 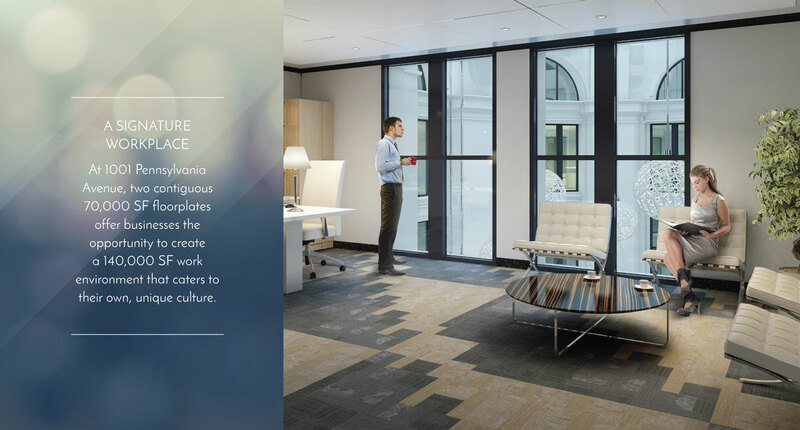 Competing with newer buildings and evolving submarkets, 1001 Penn needed a new way to engage a modern workforce. Everyone in the world knows the prestige of a Pennsylvania Avenue address. We had to prove something more. 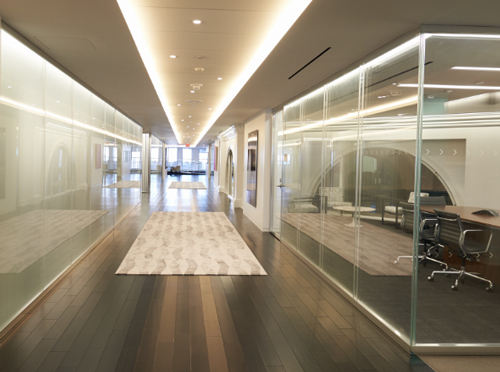 We needed to show potential tenants that the building has been transformed on the inside, while retaining its grandeur on the outside. 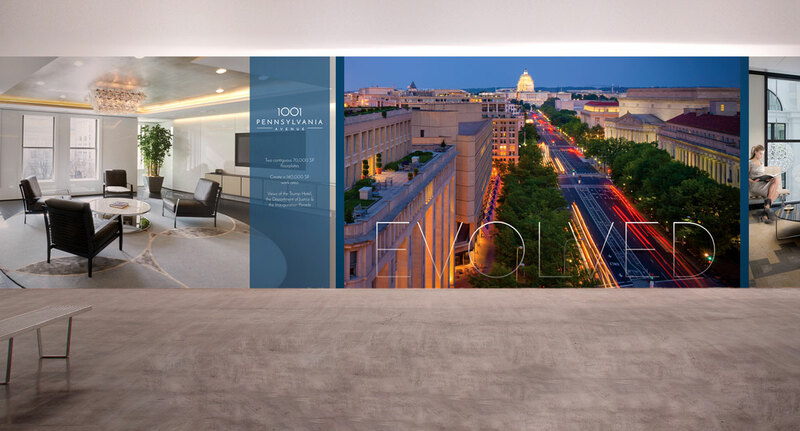 An updated logo, elegant brochure and informative website laid the groundwork, but it was the dramatic wall and display graphics in the marketing suite that sealed the deal. 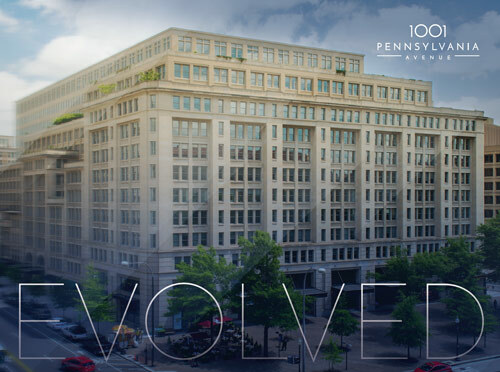 Focusing on the evolution of the recently-renovated property, the brand campaign brings a new life to an historic building with a campaign that speaks to progressive amenities, a signature workplace and a prized central location.